Besides the healthy benefits of eating Paleo, many people are eating paleo also in hopes that that it will help them lose weight. However, not all paleo meals are made equally when it comes to losing weight. 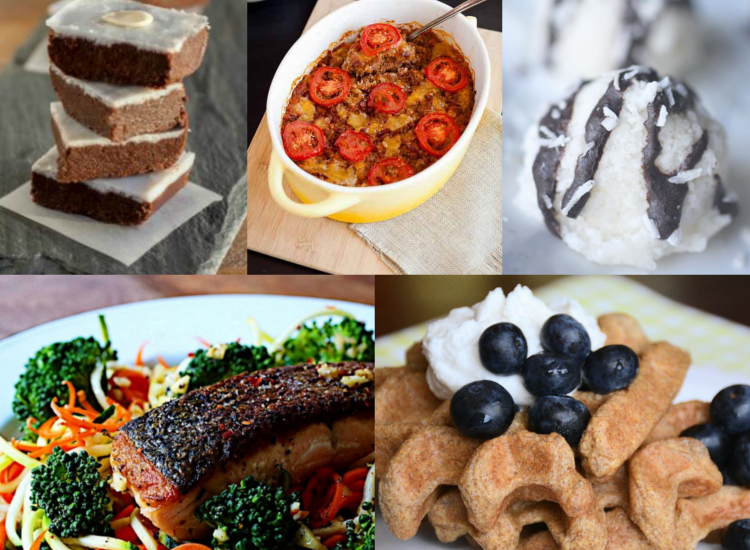 If you want to eat paleo and want to also lose fat, you should try eating Low Carb Paleo or Keto Paleo, and here I have 46 Keto Paleo Recipes for you to try out! Keto (or aka ketogenic diet) is high fat/low carb. It causes ketones to be produced by the liver, switching the body’s metabolism away from glucose towards fat. Basically, the body prefers glucose for fuel, but by restricting carbs and eating a keto diet, the body will prefer fat for fuel. So yay! Baked Zucchini Chips by Oh Snap! Let’s Eat! You liked that didn’t you… well here’s more!